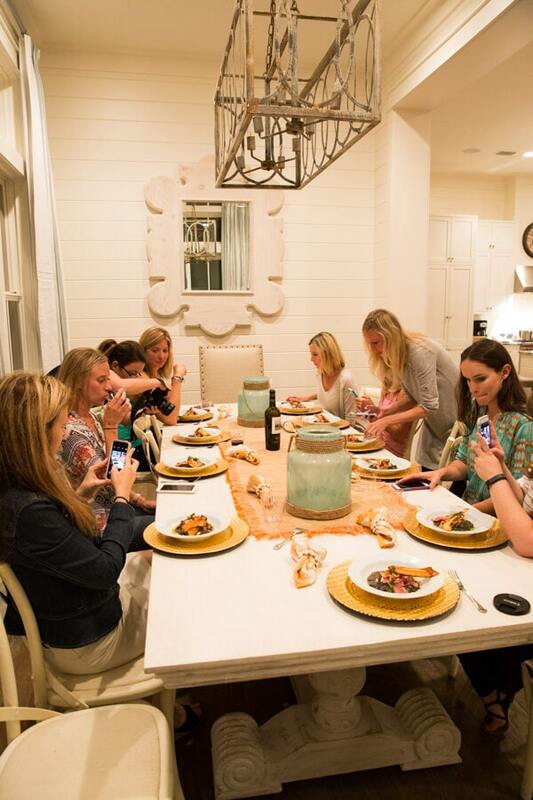 The Blogging Beach Retreat was a 3-day event filled with food, fun, friends and best of all, the beach! 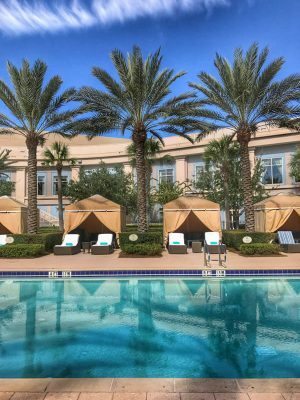 Read all about our beautiful accommodations at WaterColor Resort, delicious meals with chefs on 30A and fun activities. A few weeks ago, I had the incredible opportunity to bring together a great group of food and travel bloggers at one of my favorite places. I’ve known some of these women since I started my blog, others I only met once and most of them I had never even met in person. The goal for the retreat was to indulge in delicious food, learn a thing or two and experience the beautiful WaterColor Inn & Resort. This recap is one of my favorite posts to date because it combines a few of my favorite things – food, travel, blogging and the beach! The bloggers that attended include Christin from Spicy Southern Kitchen, Lindsay from Life, Love and Sugar, Paula from CallMePMc, Kita from Pass the Sushi/Girl Carnivore, Liz from Floating Kitchen, Beth from BethCakes, Amanda from HeartBeet Kitchen, myself, Justine from Cooking and Beer and Danae from Recipe Runner. The beaches along 30A in Santa Rosa Beach, Florida are my favorite in the entire country. I wrote about the area in the past and if you follow me on Instagram or Facebook then you already know that I love the beach. 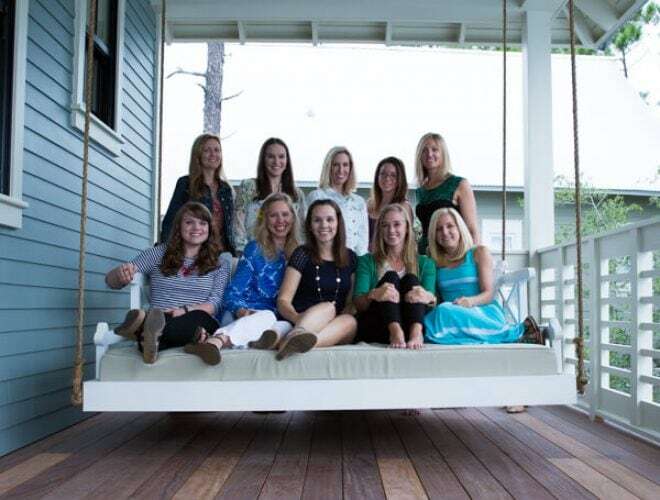 I couldn’t think of any better destination to host my very first blogging retreat than at WaterColor Inn & Resort in Santa Rosa Beach, Florida. A beautiful community located on white sand beaches with emerald green water is the perfect destination to bring people together from across the country. My goal for the retreat was to network with other bloggers and share my love for some of my favorite brands and products. 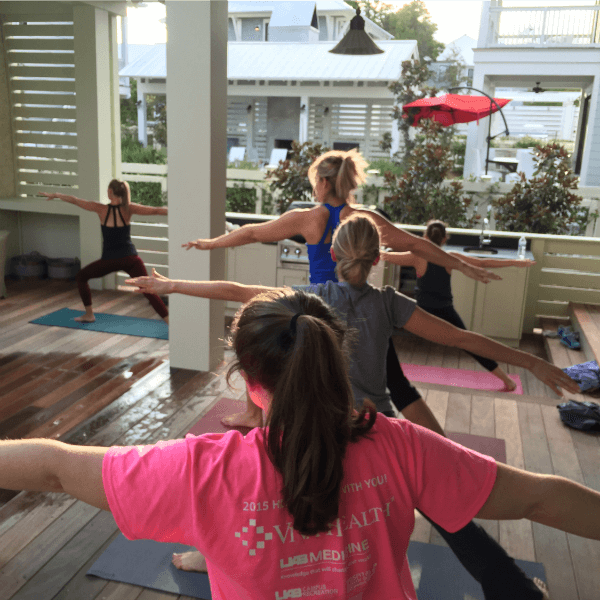 We enjoyed dinner served by a personal chef, kick-started the day with yoga, indulged in some incredible food and even went paddle boarding! WaterColor Inn & Resort is part of St Joe Club & Resorts. 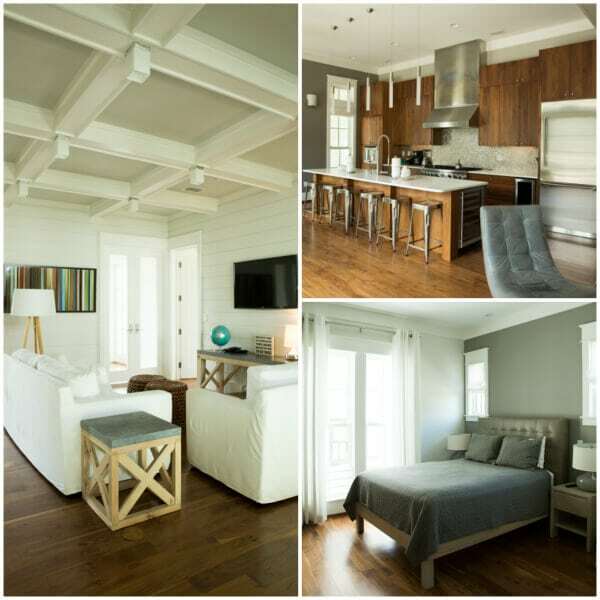 All of their properties are great for family travel, business gatherings or special events. 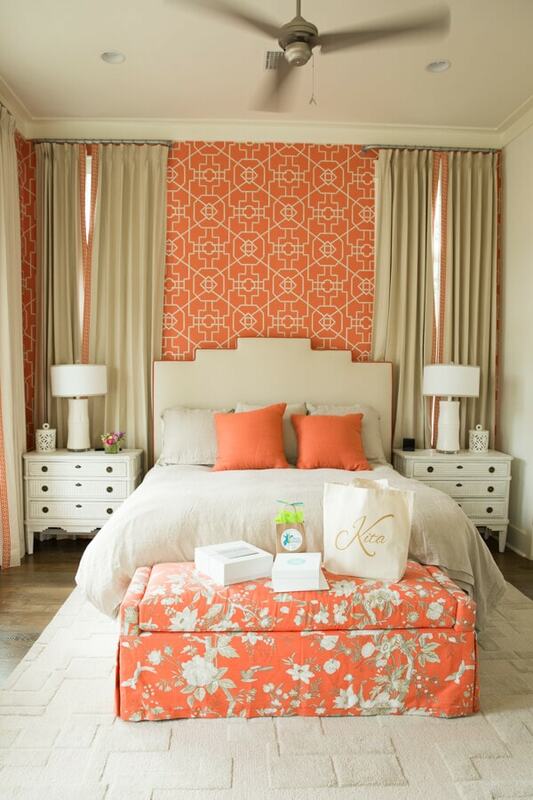 They provided us with beautiful accommodations to host our 3-day retreat and workshops. 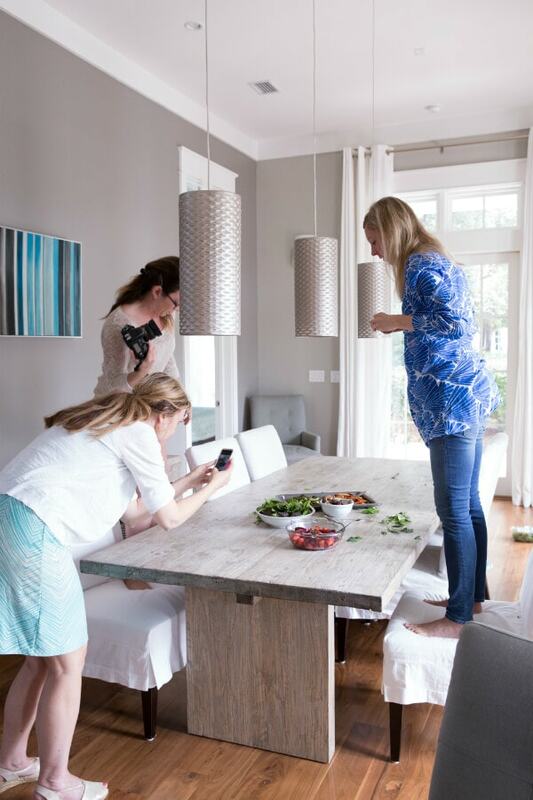 Ten bloggers shared two big beautiful homes. 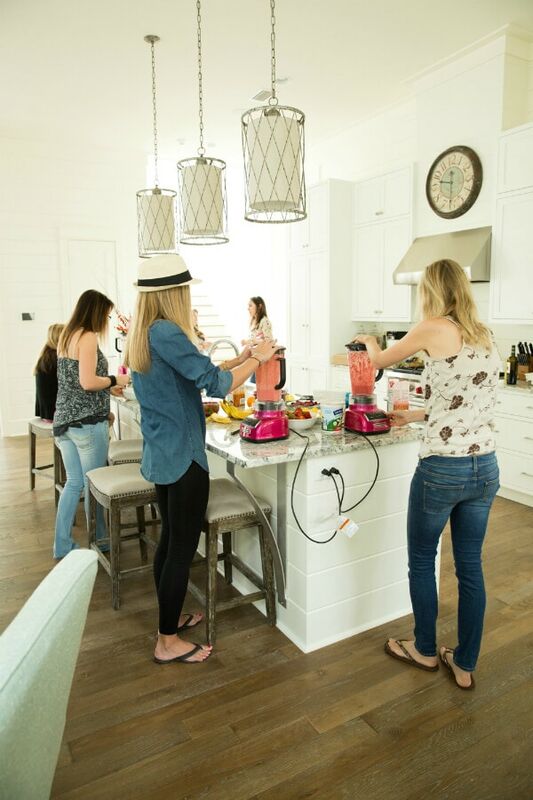 Each home was equipped with everything we needed for the weekend, including a pool to relax, bikes for transportation and outdoor grill and seating for meals. In addition, the resort has tennis facilities, bike, kayak and stand-up YOLO board rentals, multiple private pools and private beach access. 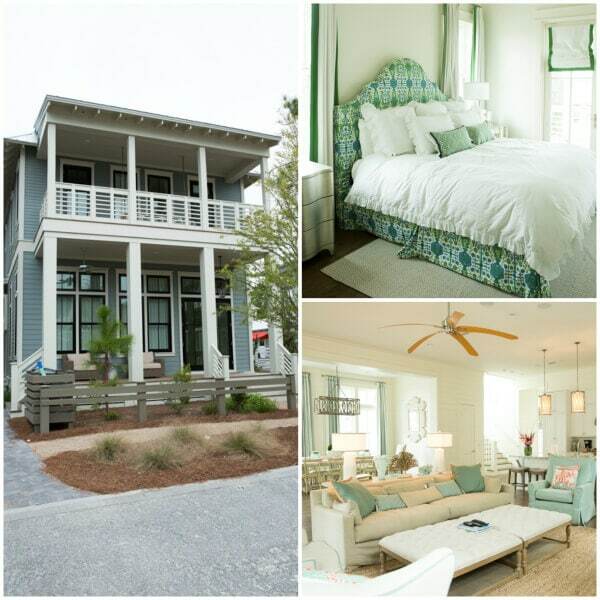 It is the ideal location for a relaxing beach getaway or fun blogging retreat! See what I mean? These homes are gorgeous and located right within an easy bike ride or walk to the beach. Each blogger was welcomed with a beautiful personalized tote bag from Lyla Grace Design filled with other goodies from Goo Goo Clusters, Rosali Tea, Round Pond Estate, and SoWal Leather & Pearls. 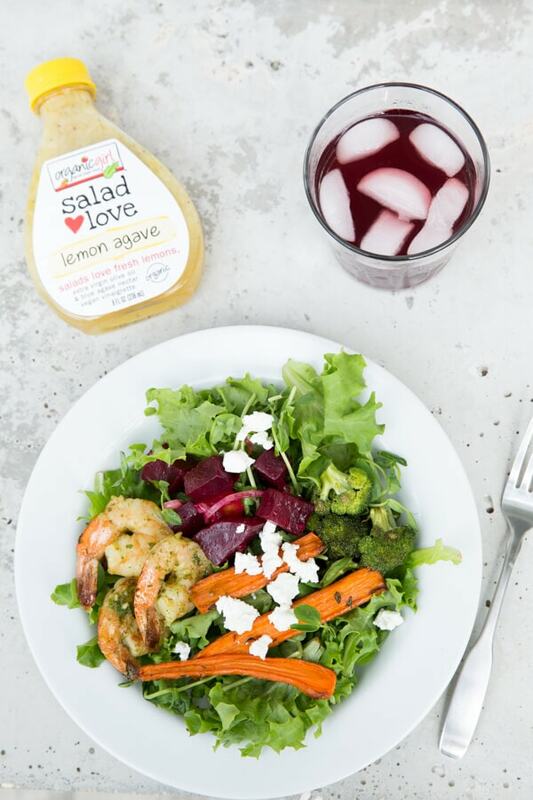 Our fridges were stocked with Naturipe Farms berries, organicgirl greens, Hail Merry snacks, Stonyfield yogurt and so much more to stay healthy and fueled up for the weekend. Catherine at The Highland Gardener made sure that our homes were arranged with fresh flowers. 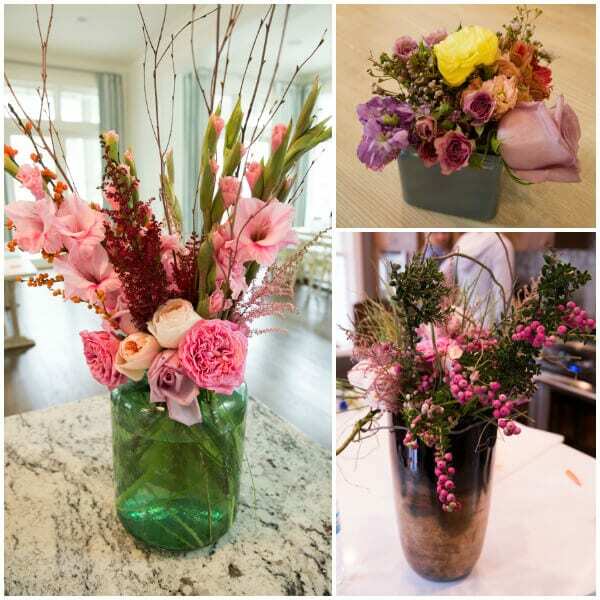 Her work is always beautiful and she provides floral arrangements for weddings, corporate events and home decor. 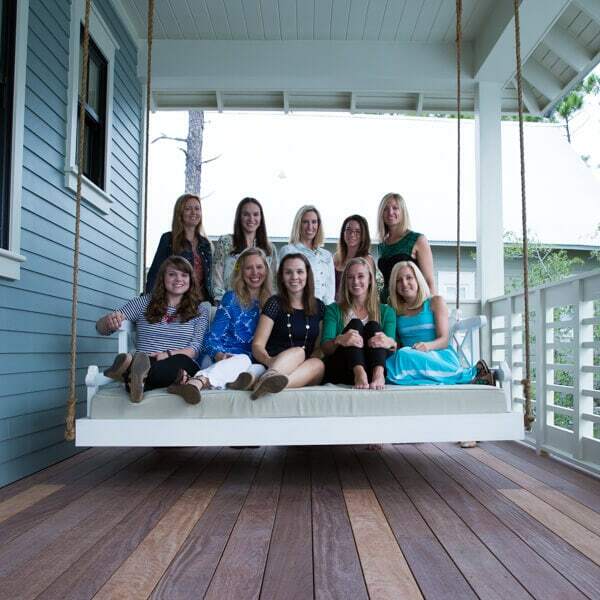 For most of the bloggers attending the retreat this was their first visit to 30A. I wanted to give everyone a taste of the area so Teak & Twine provided these delicious welcome boxes featuring Mast Brothers Chocolate, 30A beer, Salty Road Salt Water Taffy, The Honey Hutch 30A honey and Willa’s Shortbread. I love these gift boxes so much that I already ordered a few as gifts for clients and friends. If you read my blog regularly, you know that I already love Stitch Fix. 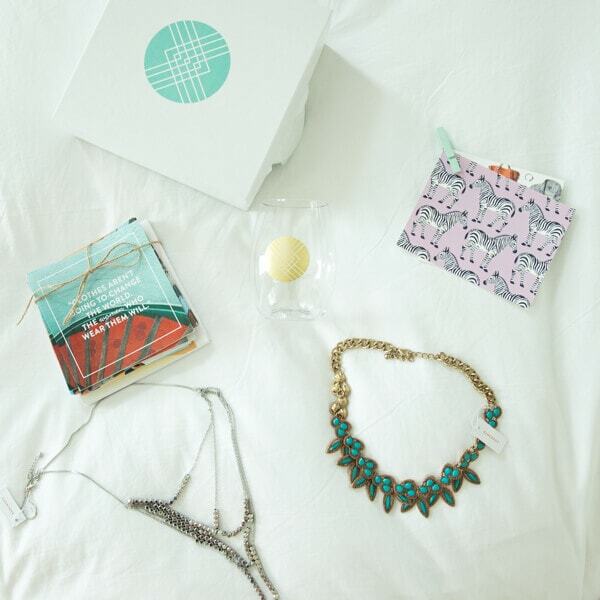 To share my love with everyone, Stitch Fix sent us these fun boxes featuring two of their new necklaces. Both pieces are beautiful and I can’t wait to wear them with my most recent fix. After everyone arrived and we were all settled into our beautiful accommodations, we kicked off the retreat with a tasting of Round Pond wine and olive oils. 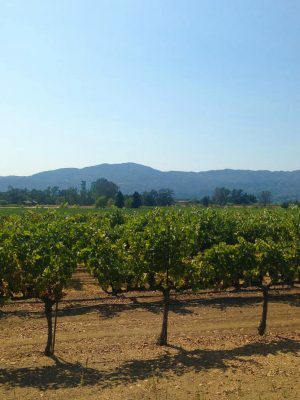 I visited Round Pond on my trip to Napa Valley last year and have been in love with their products every since. 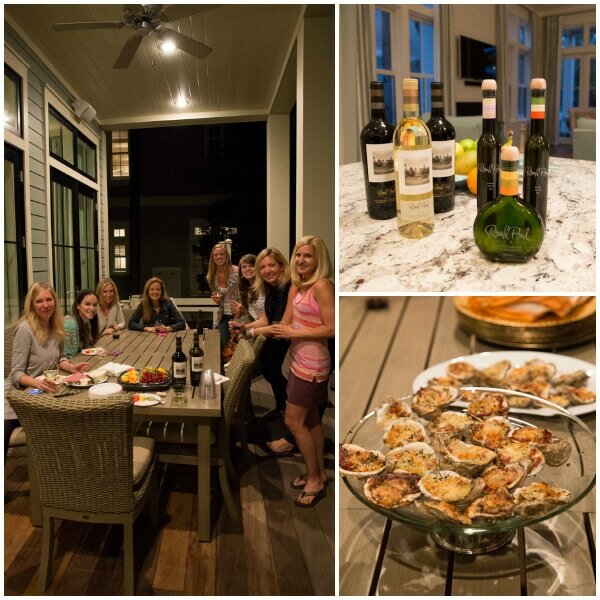 After a little wine, Chef Alex from Signature Catering of 30A prepared a six-course meal for us. I was very impressed with how he prepared an impressive meal for 10 people entirely by himself. If he could do this for us, I can only imagine what they can do for special events. 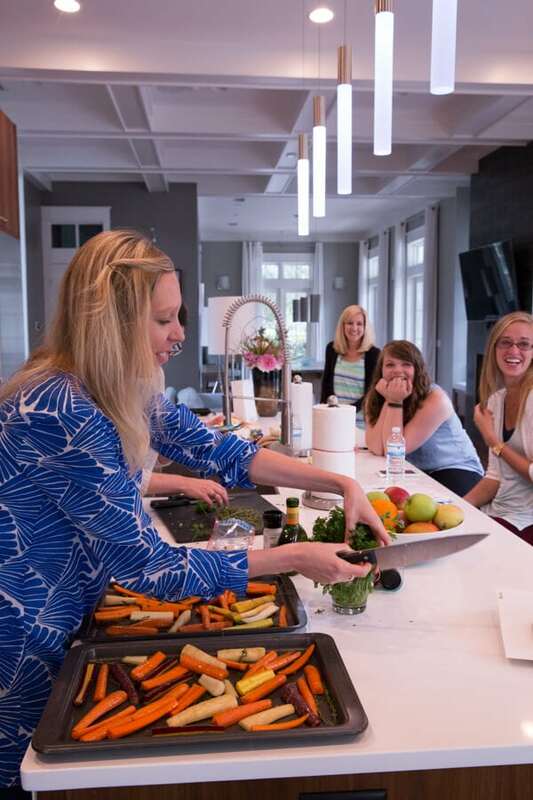 I loved that we enjoyed the first night with our own dinner party at our private home featuring our own private chef. It makes me want to go back to WaterColor Inn & Resort and do it again! Day Two of our blogging beach retreat started with poolside yoga. A morning stretch is exactly what we needed to start the fun day ahead. 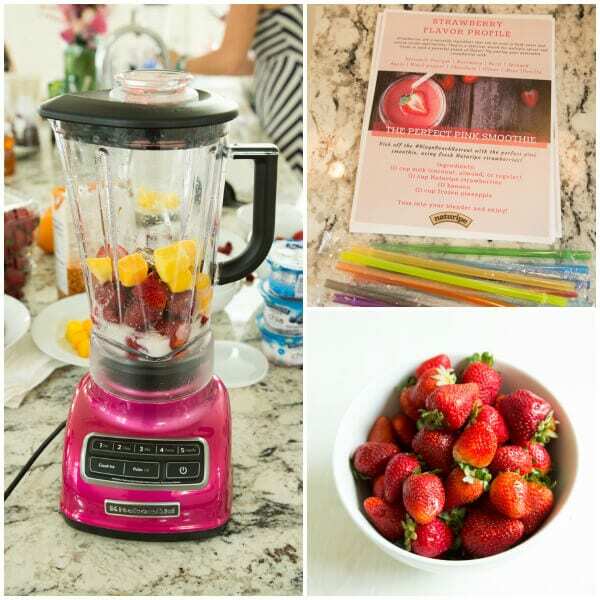 After a morning yoga session, everyone mixed up their own special pink Naturipe strawberry smoothies in their KitchenAid 5-Speed Diamond Blender in Raspberry Ice. 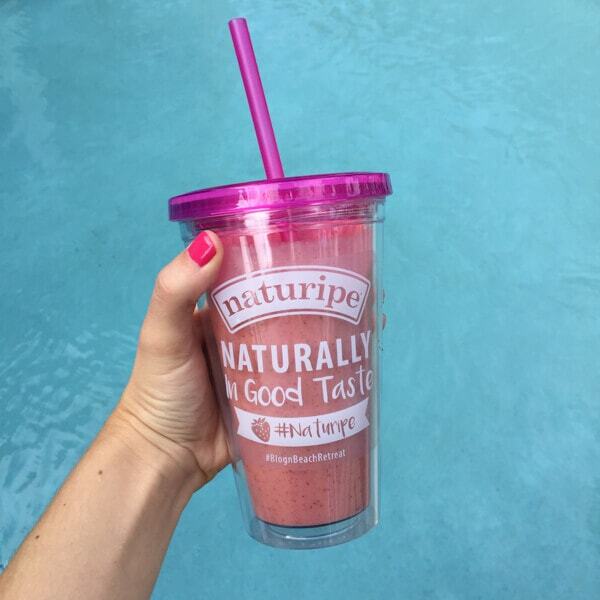 Naturipe strawberries make the perfect pink smoothie. For our first workshop session we discussed working with brands. One of the big questions was “cultivating a relationship with brands. What does that mean?” The opportunity to work with brands is one of the things I love about blogging so it was exciting to talk about how we work with brands to build our own business. The Working with Brands session was the most beneficial, but we also discussed other topics related to our business including biggest challenges, monetization and diversifying income and the future of blogging. The opportunity to get together, network and discuss how we can build our businesses for success was the most rewarding part of the retreat. The support and encouragement from other bloggers is one of the things that I love about the blogging community. After some work, we headed off to the Boathouse Paddle Club for some fun! Even though the skies were overcast and it was a little windy, everyone grabbed their paddles and we went out on the water. 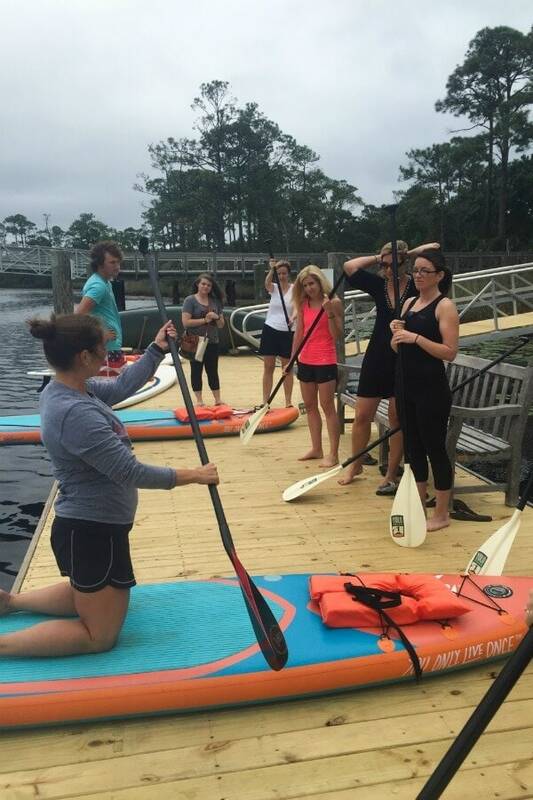 I love paddle boarding and was really excited to share the experience with everyone else. 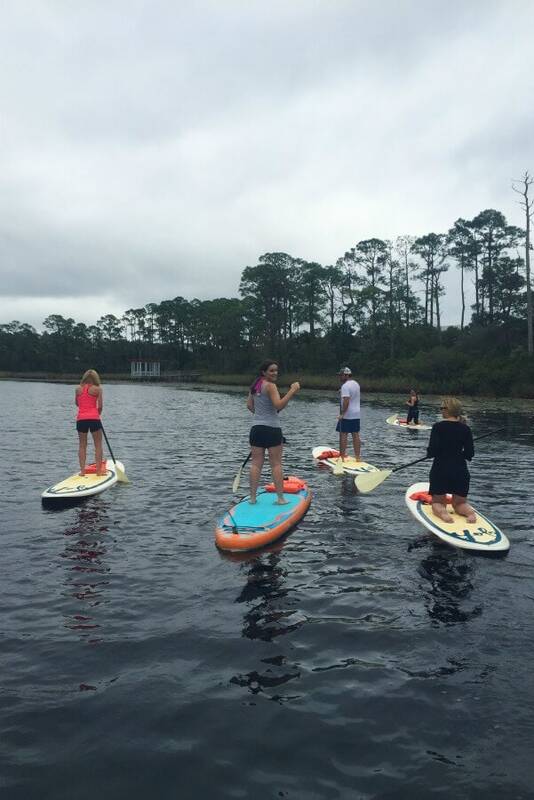 If you have never tried paddle boarding, I highly recommend trying it at a place like WaterColor resort. It is fun, exciting and peaceful to be on the water. A weekend with food bloggers always means a LOT of food. On Friday, we enjoyed lunch at Sunset Bay Cafe hosted by Visit South Walton. Fresh fish tacos and a cinnamon bun as big as your head were a few of the many delicious options. For dinner, we headed to another one of my favorite beach communities, Seaside, for another foodie adventure. 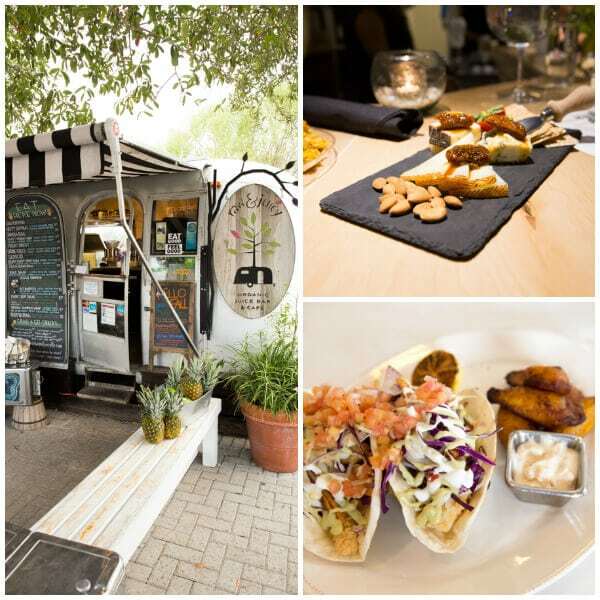 We visited the airstream food trucks, The Shrimp Shack, Heavenly, and 45 Central wine bar. 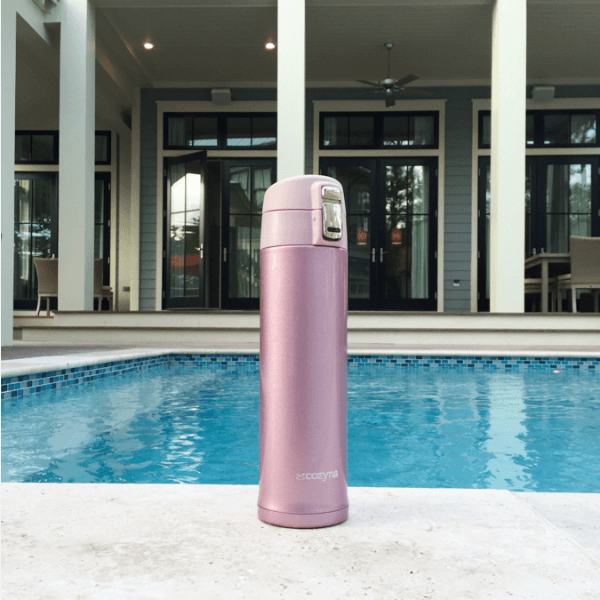 On Saturday, I woke up early, made a cup of tea for my Cozyna travel mug and relaxed on the patio by our pool. One of my favorite things to do at the resort is to wake up early and enjoy the crisp fall air on the patio. Our first adventure on Saturday began at The Perfect Pig. 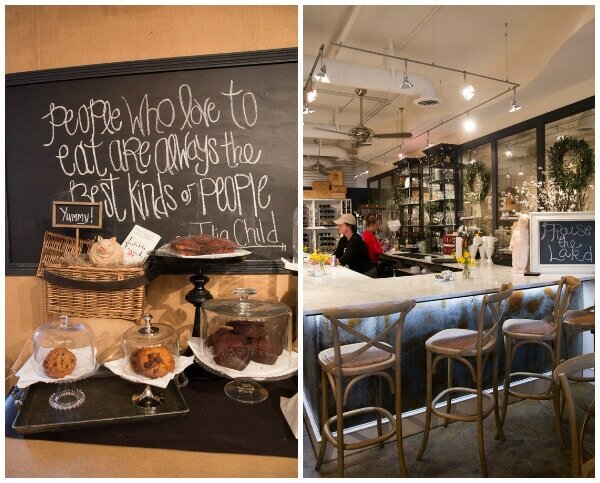 All you have to do is take one look at the fun decor or delicious food and know that this a place that you should visit. 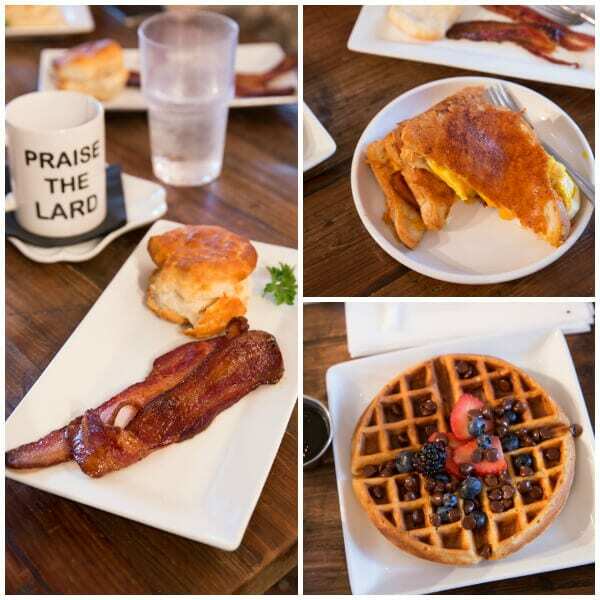 Breakfast at The Perfect Pig was a great way to start our day. Everything on the menu was delicious but do not miss the bacon and biscuits! The bacon was some of the best that I’ve ever had. The restaurant has two locations in the area and I can’t wait to return. After breakfast, we made a quick stop at the Seaside Farmers Market, local seafood market and Shops at WaterColor for a little shopping. One of my favorite shops in WaterColor, The Blue Giraffe of 30A is a beautiful little store with artwork, gifts and more. 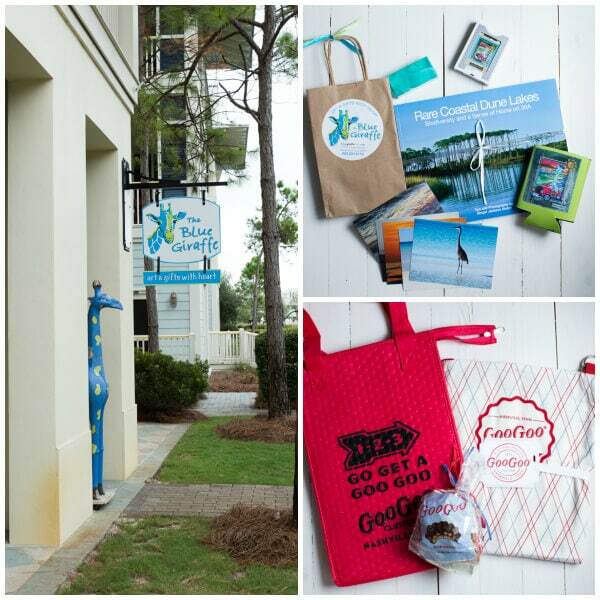 They also have fun events throughout the year so it was fun to be able to show the other bloggers some of my favorite spots along 30A for fun activities and shopping. Our workshop sessions continued on Saturday with more discussions on how to build our businesses. 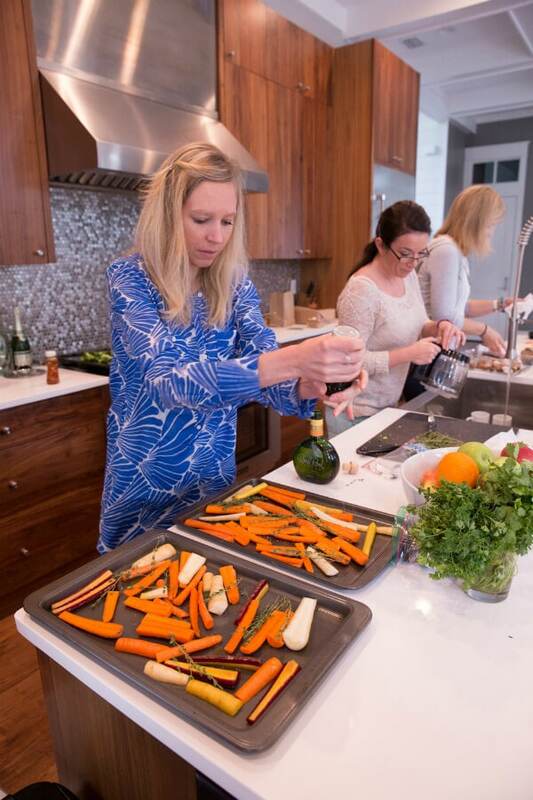 One of my favorite activities from the retreat was working together in the kitchen to prepare a fresh and flavorful lunch with organicgirl greens. 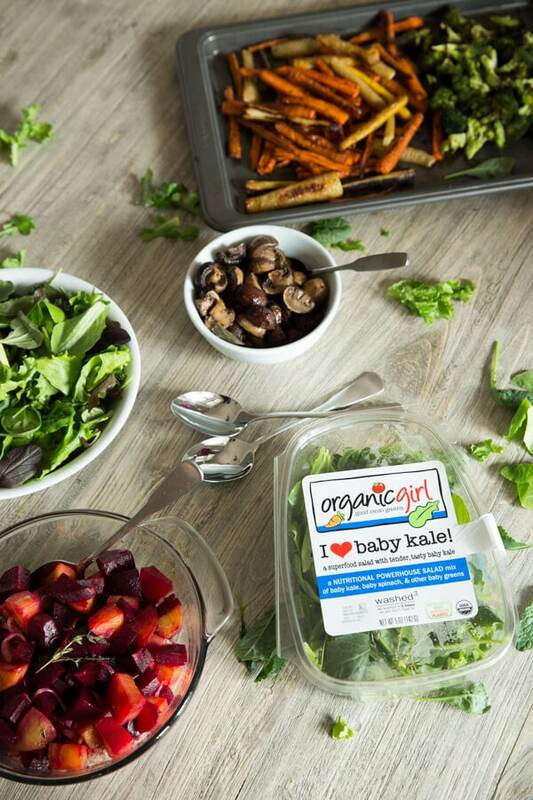 We roasted fresh veggies to add to some of our favorite organicgirl blends, such as PEPPERGREENS and sweet pea. 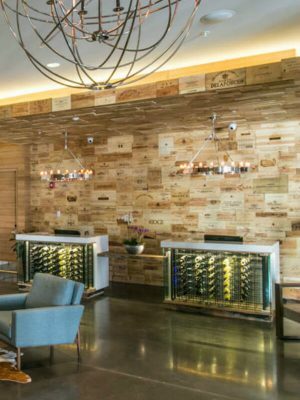 The grand finale to end the retreat was dinner in the wine room at Fish Out of Water restaurant. The restaurant is located at WaterColor Inn and has a beautful dining room inside and an outdoor dining area overlooking the Gulf of Mexico. 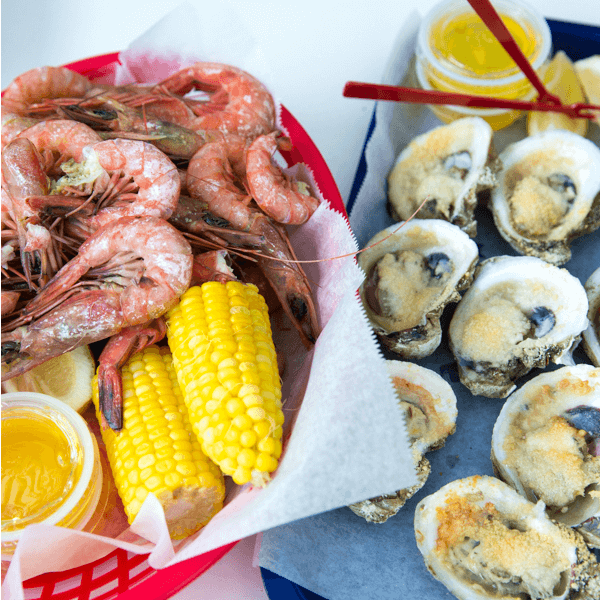 Fish Out of Water is a three-time Florida Trend Golden Spoon Award winner and spotlights regional cuisine and locally caught seafood infused with Southern flavor. 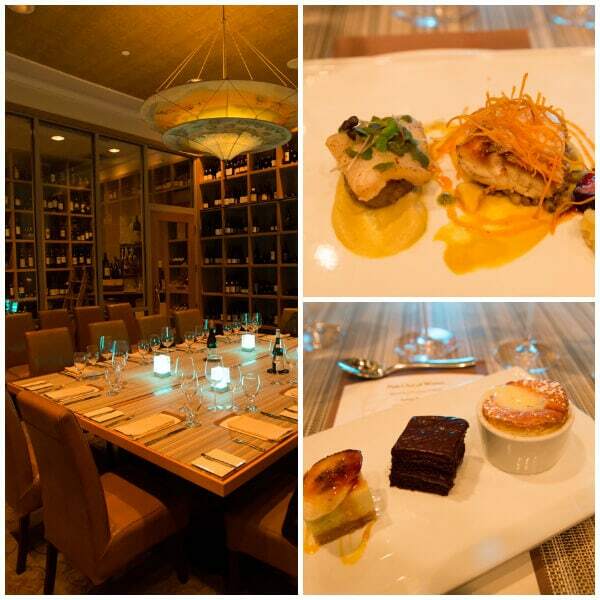 We enjoyed a private dinner in the wine room which is available for small events and business meetings. 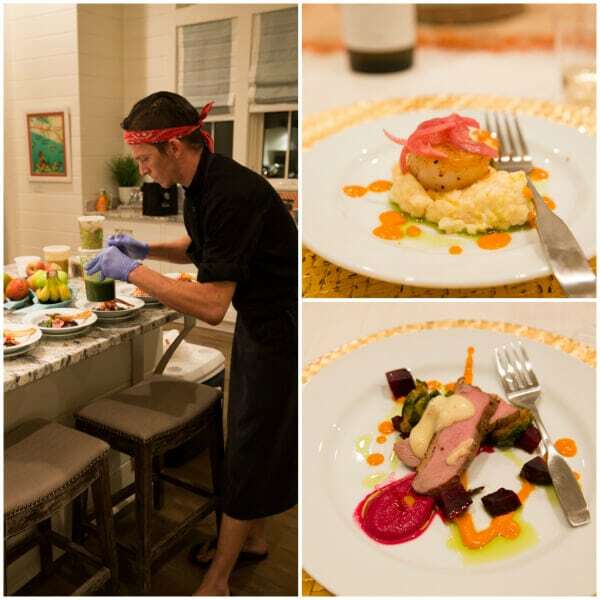 Executive Chef Todd Rogers prepared a meal that can only be described as amazing. From the fresh Gulf seafood to the to-die-for citrus soufflé, the entire meal was something that I will not forget. 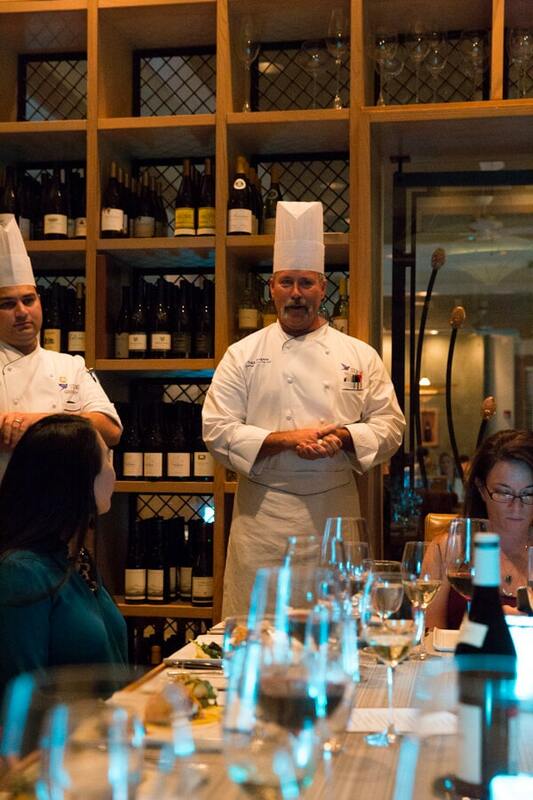 Each course was expertly paired with some of the best wine. In fact, I am already looking forward to returning to the restaurant on my next visit to the WaterColor Inn & Resort. Ending the weekend with a beautiful meal at Fish Out of Water was the best way to conclude an incredible retreat. Thank you to the following Gold Level Supporters who you see featured throughout this post: Blue Giraffe 30A, Goo Goo Clusters, Hail Merry, The Highland Gardener, KitchenAid, Lyla Grace Design , The Perfect Pig, Rosali Tea, Round Pond Estate, Signature Catering 30A, Visit South Walton, SoWal Leather & Pearls, Stitch Fix, Stonyfield, Teak & Twine. 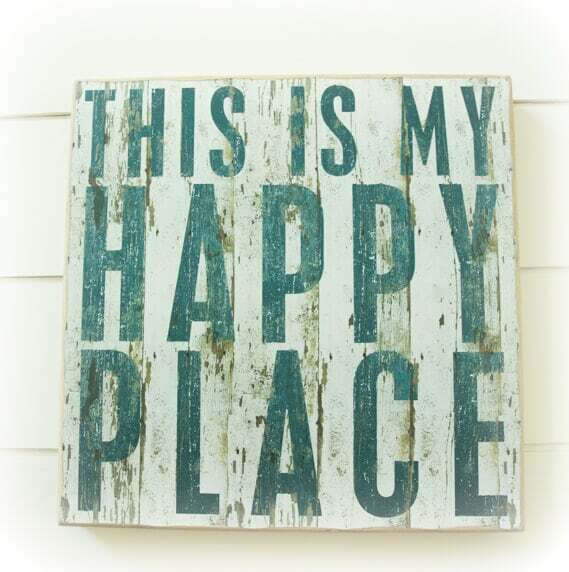 This sign was located in one of the private homes and sums up my exact thoughts about WaterColor Inn & Resort, 30A and the beach! It is my happy place and I am incredibly thankful for the opportunity to share it with nine other bloggers who are also great friends. Do you want to see more fun pictures from the retreat? 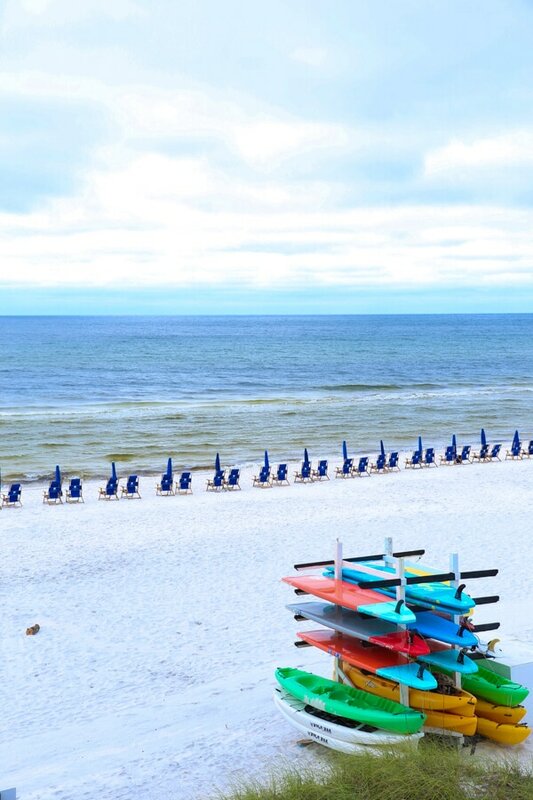 Search #BlognBeachRetreat on Instagram, Facebook and Twitter for more pictures from the weekend. 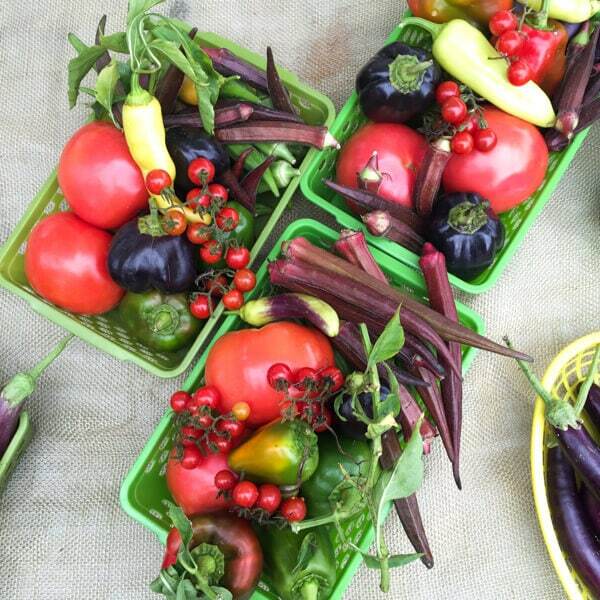 A huge THANKS to our wonderful Premier Sponsors – St Joe Club & Resorts, Naturipe, organicgirl, and Cozyna. Without their support, this retreat would not be possible. I regularly work with all of these brands and loved the opportunity to partner together again for this event. All funds went to cover retreat costs for attendees. I did not receive any compensation beyond the products and activities mentioned above for planning this retreat. As always, all opinions are my own. Looks like such a great event, Ashley!